Amid the post-festive gloom, a return to work buried in inclement weather at its most gruesome and England’s collapse in a 5-0 Ashes whitewash down under, your one salvation is to have booked the holiday. A skiing break to look forward to in a few weeks or an exotic far-flung destination for the spring. You’ve dug out the swimwear, dusted down the ski goggles, everything is in order except one thing; you never replaced the tatty suitcase whose corners took a bashing the last time you were at an airport carousel. 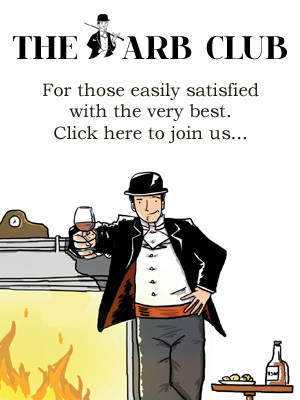 By Jove, there’s not a chance you’d be seen dead arriving at Terminal 5 with substandard luggage. Your fellow passengers will sneer and scoff and, worse, check-in staff will laugh off your attempts at an upgrade once you put that thing on the scales. 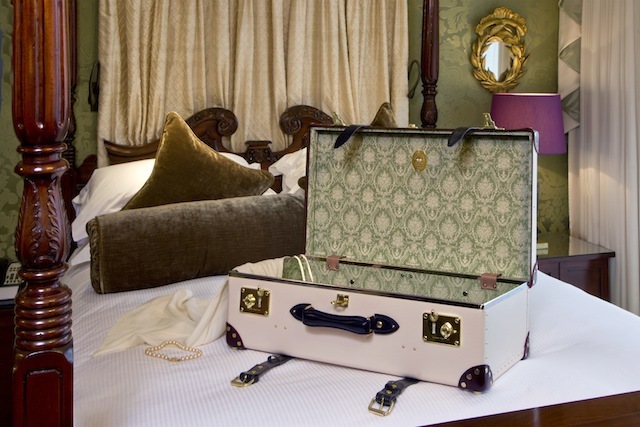 There’s only one thing for it: the Globe-Trotter Goring Hotel Collection. You’re shaping yourself up, spring cleaning the house and servicing the car. So why not your luggage? This collection is a highly anticipated collaboration between two icons of British luxury with nearly 220 years’ experience in looking after luxury travellers. And, boy, does it make you feel good when you pack it and, better still, when you open it at the other end. These cases have a rich damask silk lining from The Gainsborough Silk Company – a perfect miniature of the silk wall covering used in the Drawing Room of The Royal Suite at The Goring. Available in nine sizes including 13” Vanity Case, 21” Trolley Case and 33” Extra Deep Suitcase with wheels. 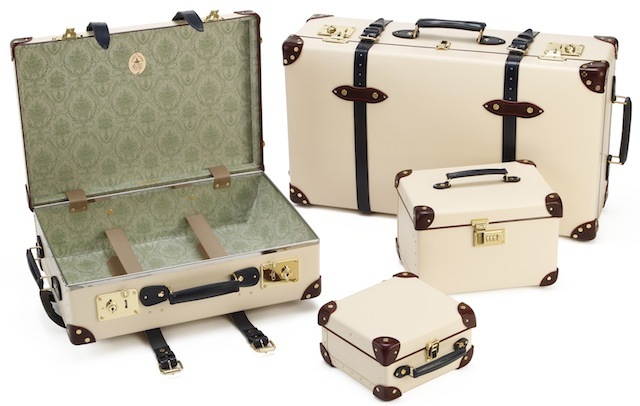 Every suitcase is handcrafted at the Globe-Trotter factory in Hoddesdon, Hertfordshire, using original Victorian machinery. The suitcases are formed from Ivory vulcanised fibreboard – do your worst, baggage handlers – with The Goring colours of navy and burgundy for the leather trim. Timelessly stylish, harking back to a bygone age when travel feature leather-strapped portmanteaux and boarding school trunks, these suitcases beautifully capture the essence of both companies. The Goring has always championed British craftsmanship and history, so are thrilled to be working with Globe-Trotter to create a little bit of England to take home – and abroad! The Globe-Trotter Goring Hotel edition is available to purchase at the Globe-Trotter flagship store: 54-55 Burlington Arcade, London (020 7529 5950) or via the website. Prices start from £485 for a 9” Mini Utility Case. The 26” Suitcase pictured is priced at £1,470.